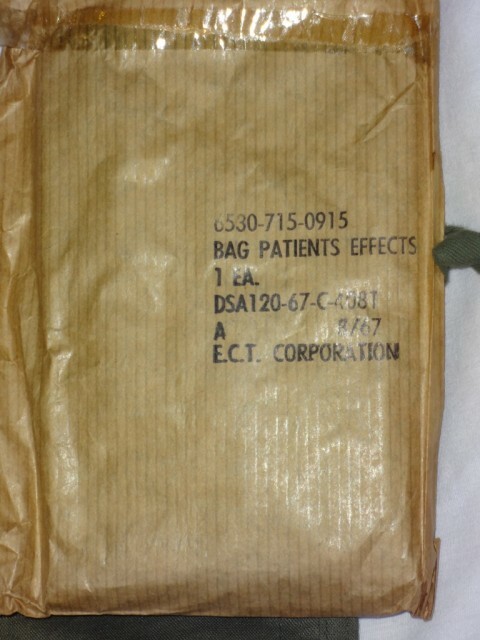 Patient Effects Bag. 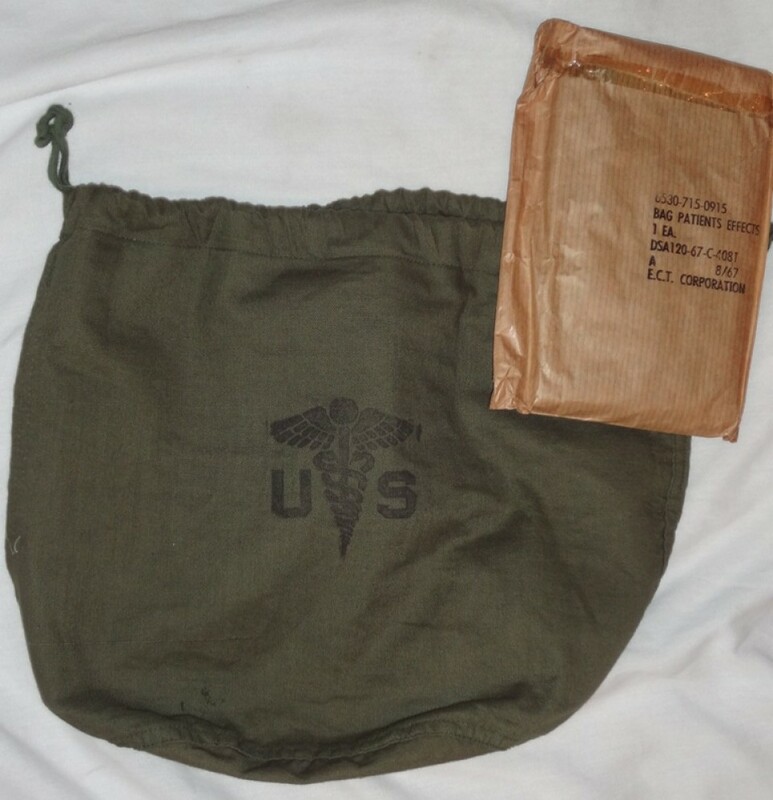 "AWOL Bag" (cotton bag with drawstring closure and rubberized internal pocket). These are still sealed in the original 1967 DSA contract wrappers. These are great for storing valuables in your pack.